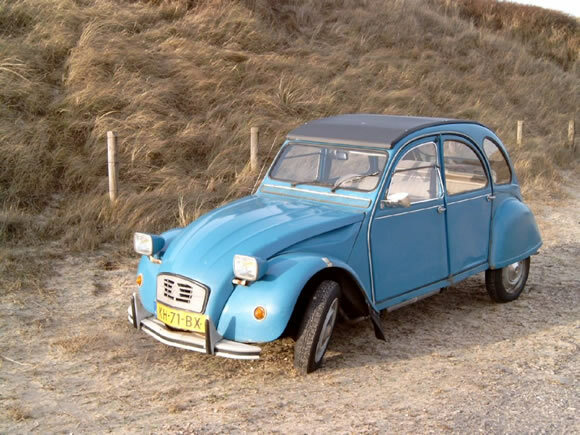 The Citroen 2CV was being discussed at lunch recently and I was intrigued by how much everyone liked them and would like to have another one in some cases. Nicknamed the 'Ugly Duckling' by some the French peoples car was in production from 1949 to 1990 and a staggering 3,872,583 were made. What stands out to most people is the incredible lean the cars had when cornering, very scary for a first timer. Beautifully simple in design and mechanicals the 2CV is legendary. Read more about the pictured 2CV rebuild here and the 2CV here.